Cham culture is always inspire people to explore in center of Vietnam. 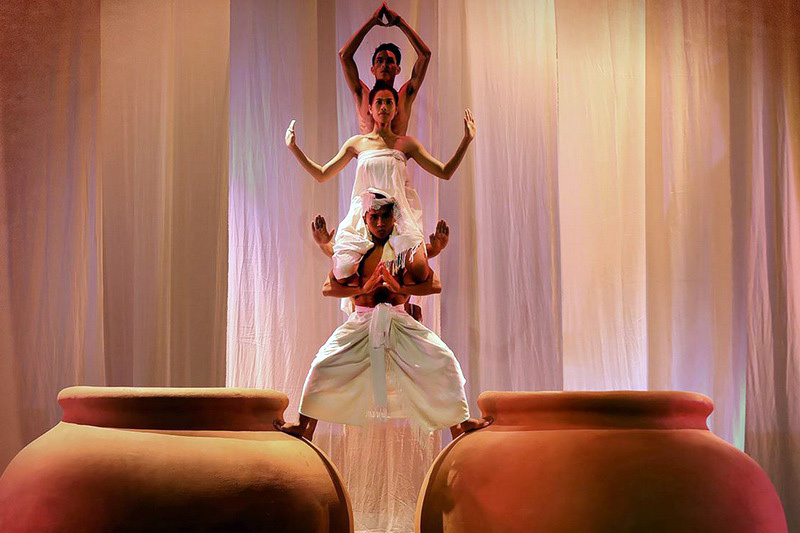 You may heard about My Son Holy land, Ponaga Cham Tower in Nha Trang, Po Klong Gialai in Phan Rang, Poshanu tower in Phan Thiet...An in-depth emotion, spiritual of Cham people presents by contemporary stage language for the first time in Hoian, Vietnam. Untold stories of Champa's culture and traditional, the philosophic charactoer of God Shiva, the colour of Palao in terracotta of fire and earth, white silk of the ocean and purification. Hanoi, Danang, Saigon will launch free regular variety shows for citizens and tourists to welcome the New Year Eve 2016. Come and enjoy this wonderful time with Jewel Tours!